Swollen Red Toe, What Could It Be? 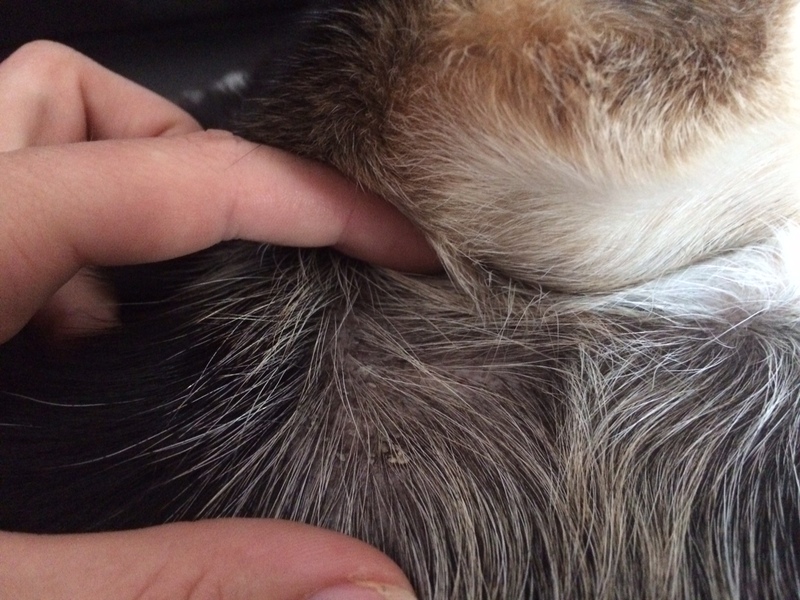 My experience treating my dog’s swollen toe & a funky arm pit. I write this post only to share my experience. I’m not a vet and do not give any advice in that way. Please use your own judgement and seek a vet’s supervision based on your own decision and research. 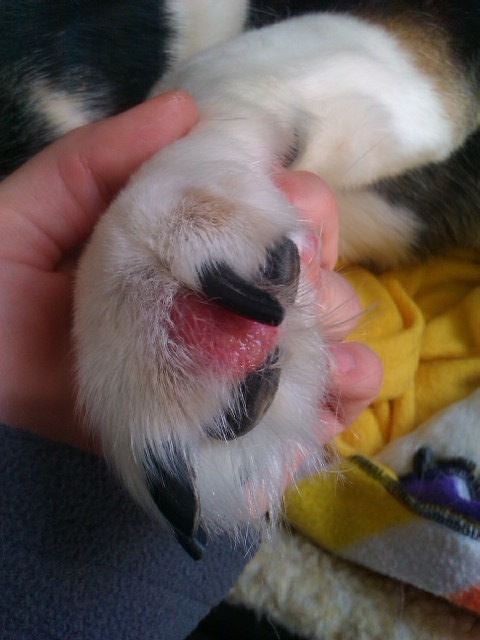 On the last December last year I noticed my dog had a swollen toe. I had no idea what it could have been, no type of scar was on it so I was unsure what had happened. It didn’t seem she had stepped on something to cut it, or that anything was in there. I knew how sometimes wounds can be hidden, but she didn’t even act like it hurt! She didn’t bite at it or anything either. 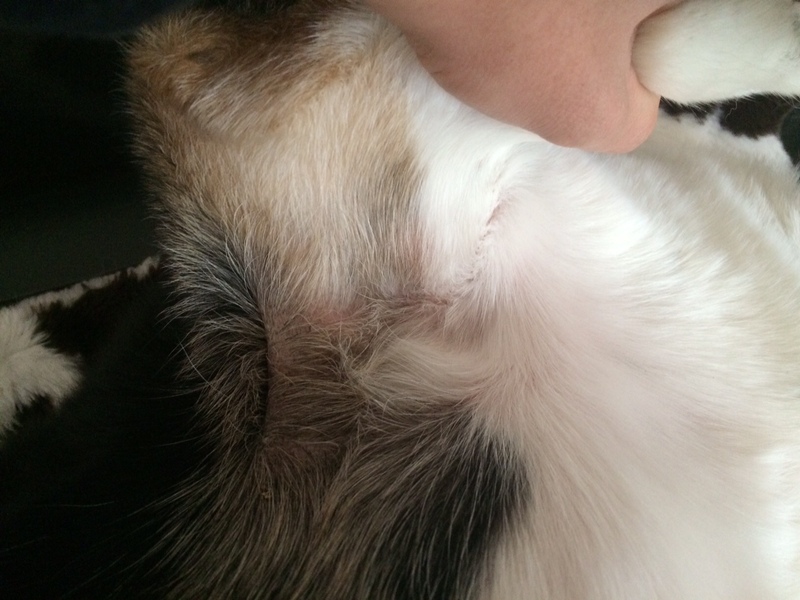 (There was some oooz that came out when I squeezed it though…) I waited for a couple of days to see if it was going to get better, then called the vet. The vet was also unsure of what had happened or what it was. She said it could be a wound or a bacterial or fungal infection. Thanks vet for narrowing it down!… She gave me a prescription for an anti-biotic and an anti-fungal pill along with a type of cleaning solution called Chloihexadine and a cream called Otibiotic. I only picked up the anti-biotic because it wasn’t that expensive, and didn’t get the fungal pill because it was nearly $40. I thought I would try the anti-biotic first and if necessary the fungal pill later. I didn’t want to buy it if the vet didn’t even know if it was fungal for sure. After a week of soaking her foot, putting the cream on, and giving her the pill, her paw cleared up and was totally fine. I’m still not sure what it was! A few days later I noticed under one of her arm pits, her skin had no hair and it was very scaly and dry looking. I went to the internet to try and find out. I concluded this was a type of yeast infection based on what I had found online, but wasn’t totally positive between yeast or fungal. It didn’t seem to bother her and I never saw her bite at it. She rarely scratched at it. Although I had a good hunch, I opted to try some home remedies first instead of getting the prescription or going back to the vet. I was unsure if she had this at the same time as the bad toe and I didn’t notice, or if the medication had suppressed her immunity and caused it. I read that anti-biotics can kill off the good flora in a dog’s system (just like ours!) and cause flora to get out of whack. Therefore, the toxins aren’t being killed by good flora, but are showing up as bad stuff on their skin because their skin is trying to filter it out (just like humans!). I read about a dog’s diet too. References said even if you feed them good food, if it’s high in starch (sweet potato, rice, grains), it can create a better environment for the fungus or yeast to grow. I feed her good food, but it is higher on the starch level it seems. She hadn’t had any problems with the food before, so I guessed that maybe the anti-biotic did some damage on her system’s natural flora and made it out of balance. I came up with a daily regimen to get her flora back on track. I started supplementing her diet daily with a 1/4th cup of good yogurt (without whey or sugar), 3 tablespoons of apple cider vinegar, and a teaspoon of turmeric. She weighs around 40 pounds. The yogurt would help bring good gut flora back into her system. Apple cider vinegar was going to cleanse the system and help get rid of toxins, as well add some good flora back in there. (You have to use raw ACV with the mother in it, so much more powerful! ), and the tumeric is an anti-oxidant and anti-inflammatory. I felt like this was going to be better on her system than anymore medication would. I was however prepared to take her back to the vet if I didn’t see improvement. The next type of treatment I would give her was a once a week bath of the infected armpit with a dandruff shampoo. I didn’t realize that dandruff is actually caused by a yeast like fungal condition! I then seeked people’s reviews on the best dandruff shampoo. This came out to be the brand Nizoral A-D shampoo. This specific brand has the chemical ketoconazole in it, while others don’t, and why they aren’t as effective it seems. Be prepared though, I shelled out $15 for a 7oz bottle. I figured if this did the trick it would a better alternative. I then gave her a weekly bath, just using the shampoo on the effected area, massaging the shampoo in well twice, then rinsing. This stuff seemed to really do the trick! I was impressed with how it worked and seemed to immediately make her skin better. After her skin dried I then applied an anti-fungal cream. I couldn’t tell specifically how well the cream worked, but it may have helped some. I applied the cream daily, alternating between it and a feminine yeast cream. In the end I think it took around 3 to 4 months for it to completely go away. I noticed a month later it began coming back again (but I had stopped all treatment, so I probably stopped too early). I did the shampoo treatment and began giving her the yogurt/ACV/Tumeric treatment for a week or so again, and it then went away. The whole area in her arm pit had scaley, dry, and saggy skin. While her hair is still growing back some, it’s all cleared up! While it wasn’t the most speedy of healing, I feel much better about the way I treated it without relying on a pill type of medication. I think the yogurt/ACV/Tumeric combo is something I’m going to give her every so often to help prevent something like this in the future and maybe any other conditions!